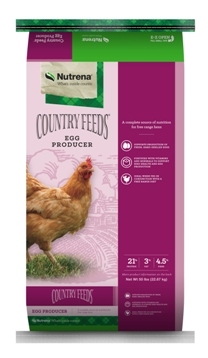 Feed Egg Producer mixed with scratch grains at 18 weeks of age. The amount of scratch grain fed should not exceed the amount of Egg Producer fed. Limestone or oyster shells should be available free choice at all times.